If you choose somewhere else, where would you like to have your reception? 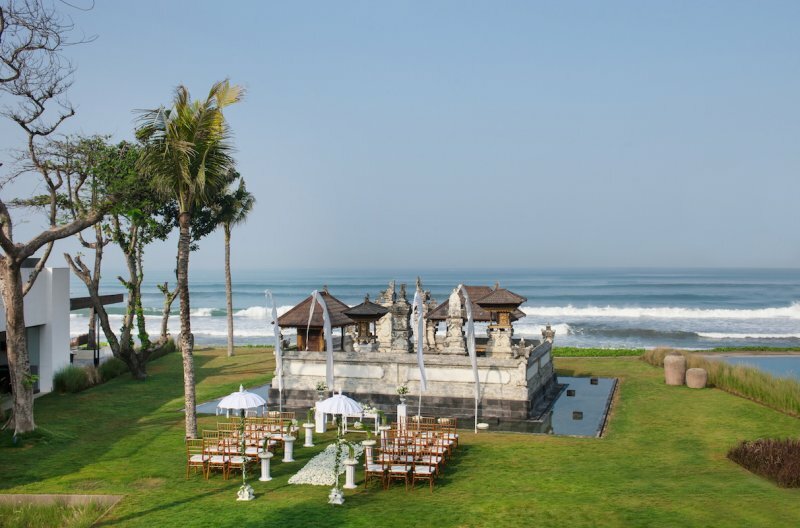 Unfurling along a pristine beach on Bali’s southwest coast, mere steps from the Indian Ocean, Alila Seminyak ups the ante on tropical cool. A stunning beachfront resort that radiates sophistication, vibrance and vivacity, offering an indulgence of luscious lifestyle facilities and refined spaces for chilling out in style. Use of one Deluxe Suite as preparation room for up to 4 (four) hours. Additional guest is charged at USD 45 net per person.